Following World War II, Eugenics was re-branded to cast of its associations with the Nazis, and emerged, as it were, in the form of such social policy topics as “population control,” “family planning,” abortion/Planned Parenthood, health care, various types of genetics, even laced in between such screeds as global warming/climate change – which leads to arguments about reducing the burden of over-population upon the earth. To avoid such debates, the Foundation has in the last couple of decades consorted to its long-practised and highly successful methods of either outright lying through its teeth or using deceptive language to hide the fact that it continues to work tirelessly toward its long-stated mission. 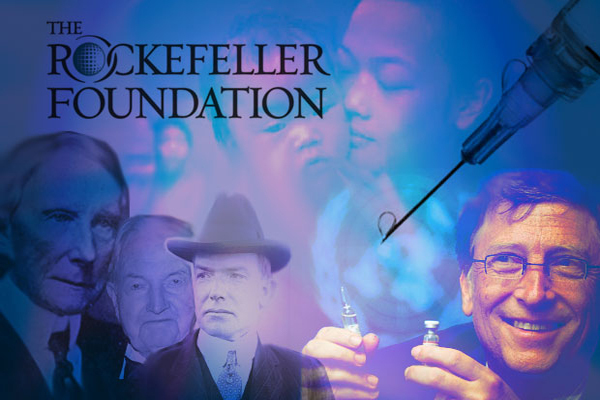 In addition to the recent PrisonPlanet-exclusive Rockefeller Foundation Developed Vaccines For “Mass-Scale” Fertility Reduction– which outlines the Rockefeller Foundation’s efforts in the 1960s funding research into so-called “anti-fertility vaccines”- another series of documents has surfaced, proving beyond any doubt that the UN Population Fund, World Bank and World Health Organization picked up on it, further developing it under responsibility of a “Task Force on Vaccines for Fertility Regulation”. DHS Insider: Crisis Of Unprecedented Magnitude To Strike U.S.